There's no way to sugarcoat the fact: drinking alcohol, especially in excessive amounts, has no real benefits whatsoever. It will help you sleep, but that sleep will be restless instead of refreshing, and you'll have the after-effects to deal with once the alarm clock goes off. It can help you forget your worries for a while but causes more than enough problems of its own. It can make you enjoy the company of others more, but should you be socializing with people you can't stand while sober? In terms of your health, your career, your relationships with others, and your self-respect, there are few reasons to drink and many not to. Although all of us have our specious justifications for doing things we know we shouldn't, you know this is true. Booze has destroyed more families, lives, and fortunes than any street drug, period. Many people think that they're in control of their drinking right up to the point where they realize just how dependent they've become on it. Due to its prominence in social situations and daily life, full-blown addiction has managed to creep up on many people without them knowing about it until it's too late. If you suspect you have a drinking problem, it's very likely that you do. A good, simple test is to stop drinking, completely, for a month - if you "could, but don't want to," you should seriously examine what role alcohol plays in your life. As with any addiction, chemical or otherwise, a good rule of thumb is that something that interferes with other aspects of your life has gone too far. If you've ever missed work, canceled social appointments or made up excuses because of alcohol, you are almost certainly dependent on it and need to take action immediately. In a way, beating alcohol addiction is like learning a foreign language: there are plenty of programs you can follow, but the difference between success and failure rests mostly on the dedication you have to overcome obstacles and keep on moving towards your goal. This dedication doesn't come from choosing to stop drinking, once, and then cruising along on the back of that decision. You will have to choose to not drink on a daily basis, or even several times a day. Also like learning a language, you can't neglect what you need to do six days of the week, then try to make up for it with a heroic effort on Sunday: daily work is the only way to get anywhere. Be assured that with consistent efforts and professional help, almost everyone who tries to kick the habit succeeds. You may think that quitting alcohol is a question of willpower and nothing else, but this is rarely the case. The craving you feel for a drink has its roots partly in your body's physiological responses and can either be overwhelming if you don't understand the implications or easy to deal with as long as you take a few simple steps. A body that feels taken care of will be on your side when it counts. Certain foods increase the craving for alcohol, while others reduce it. Strange but true: your body is an integrated system, and what you put into it affects how you will feel. Maintaining a stable blood sugar level is important. With the strain you used to put on your liver regularly, this means eating whole grains and vegetables instead of sugary snacks. Natural foods digest more slowly, giving you constant energy instead of a soar/crash cycle which will certainly provoke a craving for a drink. You will also want to eat foods that will assist in getting your brain chemistry back to normal as soon as possible. Raw spinach, sunflower seeds, bananas, peas and oily fish are all good for this. If your drinking habit has been going on a long time, it's not the worst idea to consult a GP about additional supplements, particularly of B vitamins. Above all, remember to drink lots of water. Heavy drinkers are often chronically dehydrated, and your body is going to want to get rid of a huge amount of accumulated toxins in the coming weeks. 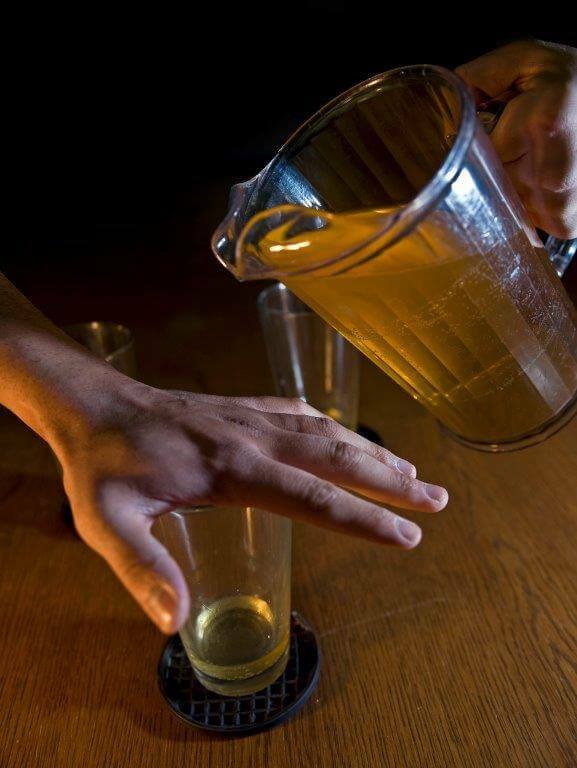 Among the many ways in which alcohol damages your body, its effect on your circulation is one of the most detrimental. Alcoholics are much more at risk of strokes and heart ailments, and insufficient blood flow can cause a whole range of undesirable effects. While running an ultramarathon might not be on your immediate horizon, simply walking for 30 minutes each day will help strengthen your heart, lower your blood pressure and get the oxygenated blood flowing to where it's needed. Perhaps more importantly, a little exercise aids in normalizing the levels of neurotransmitters such as dopamine and GABA, which will improve your mood all day long and lessen your desire for alcohol. You may be asking yourself: "Is this really how to sober up? Not only must I stop drinking, but I also have to eat like a rabbit and run like a deer?" In fact, giving up alcohol, eating healthily and starting an exercise routine are all difficult to do - but when doing all three simultaneously, each makes the others easier. Many people are trying to neglect the emotional aspects of addiction. This is not how to stop drinking, especially when emotional factors such as stress or depression are what caused a drinking problem in the first place. The best way to go about this is to have someone you can freely talk to, without shame or pretense. Group sessions with people in similar situations can be helpful, although a counselor you can contact at any time has distinct advantages. Simply expressing your feelings in words can have a powerful effect, much more so than usual introspection. Just knowing that somebody is listening can give you the strength to stay sober one more day, after which tomorrow is likely to be easier. A major source of stress for most people is their job. While most of us aren't in a position to do without one, you can certainly ask for your hours to be temporarily reduced, delegate what you can and take on less new responsibility. You will often be surprised at the level of support you will receive: from an employer's perspective having a problem is bad,but dealing with it shows responsibility and fortitude. One thing many people who decide to stop drinking notice is that their so-called friends are not only unsupportive but will actively try to convince them to resume drinking. This is an unbelievably callous attitude: they do not care if you live or die, as long as you're around to amuse them. Find new friends, or be alone, but do not stick around in such a toxic environment. Finally, identify the routines and habits that often lead to a drink or seven. These may take the form of going out after work, having a beer in front of the television, or any of a hundred apparently harmless patterns. As an addict, you will subconsciously resist becoming aware of what leads to excessive drinking, so this is another spot where having a therapist comes in handy. Familiar places, people, and activities can all act in subtle ways to encourage you to drink, so shaking up the things you're used to is part and parcel of approaching healthy sobriety. One of the most challenging aspects of how to get sober is that alcohol addiction is not only in your mind - pleasant memories of relaxation, an absence of anxiety - but affects your body, too. Alcoholics' brains and bodies function differently from those of social drinkers. There are two stages of withdrawal, the first occurring almost immediately after ceasing to drink alcohol. While this part is not at all pleasant, it typically lasts no more than two days, and you should have no problem getting through it, especially if you have someone you can talk with. You will probably experience headaches, uncontrollable shaking, fever, nausea and even hallucinations, so you may wish to go through this part under medical supervision, especially if you've been a long-time drinker. Once this "acute" stage is passed, you will feel better than you have in a long time. Between one and two months after quitting, however, long-term heavy drinkers (or narcotics users) who've stopped will experience something called PAWS, which can persist for several months. It is in this period that most recovering addicts' resolve collapses because this stage of withdrawal is characterized by symptoms that are primarily mental and emotional, not physical. Your brain will be rewiring itself for sobriety, and this doesn't come without a toll. Insomnia, low energy, anxiety and mood swings are all common features of this period. Your inner life may become so unbearable that you will believe that you have no option but to return to the bottle, as many do. Having access to a counselor experienced in addiction problems is essential during this stage, as he or she will help you stay strong during the worst times. If you know this is coming, you'll be that much more likely to go through it with your resolution intact. A common mistake recovering alcoholics make is to "fall off the wagon," either by having a single drink at a party or going on a binge. Lapses like these aren't how to sober up fast, but nobody's perfect, and these things happen even to people who don't have a (former) drinking problem. The real error in this case is to allow one incident to destroy your willpower. No part of your mind should be allowed to say that experiencing one lapse means that you've failed in your drive to get sober. Don't use it as an excuse in a "Now I might as well…" anyway. If this happens to you, just acknowledge that you've made a mistake and try to figure out what led to it so that you can avoid the same circumstances in the future. Talk to your counselor about what happened, frankly and openly, and try to get to the heart of the matter. Addiction and its causes are rarely simple, and having an extra set of eyes on your particular problem is how to sober up from alcohol permanently. There's a common belief that there is no such thing as a former alcoholic, but this is not necessarily true, or at least not for everyone. Alcoholics Anonymous popularized this position, and like much of their program reveals the movement's evangelical roots. It's possible that, once you've beaten your addiction, you will be able to have an occasional glass of wine without your personal gremlin threatening to come out of the closet. Once you've experienced the improved mood, mental clarity and sense of physical wellness an alcohol-free lifestyle offers, the chances are that you won't be tempted all that much to return to your former lifestyle. This is not to say that you shouldn't watch yourself. If you feel that day to day stresses or lifestyle factors are pulling you back down a path you don't want to walk, talking to a counselor should be near the top of your to-do list. Nobody needs to be alone with this, and help is available online wherever you may be, at any time you need it. 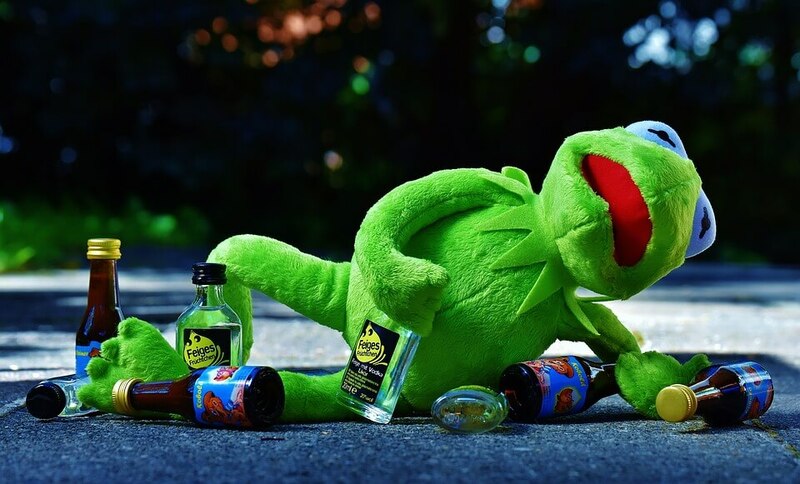 In conclusion, if working with a therapist, you will often discover that excessive drinking is only a surface phenomenon reflecting deeper problems. These may be internal conflicts that you need to resolve or a distressing life situation that has to change. While this can mean that you will have to make bigger adjustments than just quitting booze, these will be for the better as long as you have someone to help you keep things in perspective. Living life without a crippling addiction is an excellent step forward regardless.